After seeing "A Simplified Life," I've wanted to grab another book by Emily Ley for a while. I love so much about A Standard of Grace. The happy colors, the journaling aspect, the message. It's the perfect book to grab for spring and a fresh start. 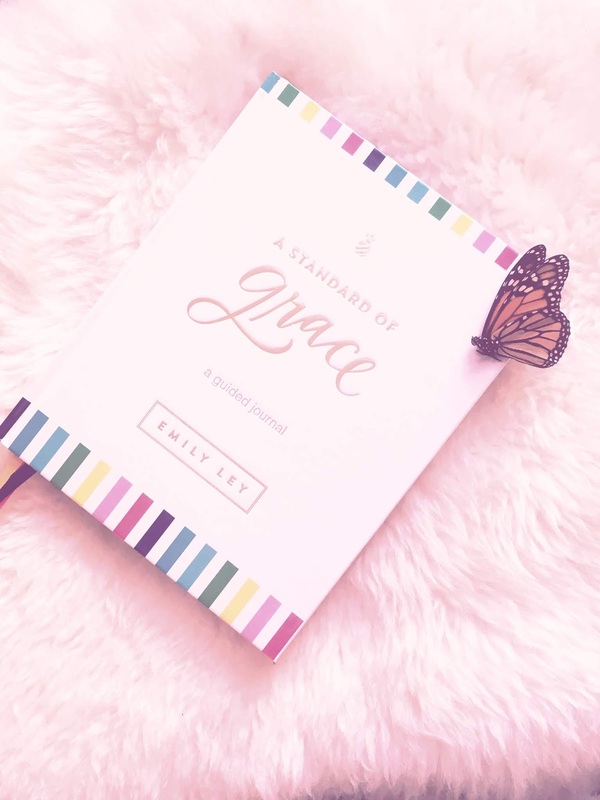 A Standard of Grace offers readers 52 journaling prompts (one a week), each beginning with a key Bible verse, a short devotional, and two thought-provoking questions. A full page is offered for answers to these questions, great for pencilling in thoughts and growing along the way. First off, this journal is beautiful. 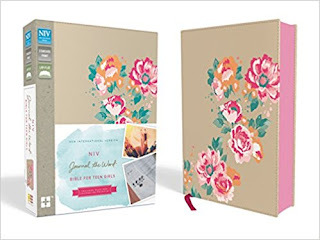 Happy and classy, with pops of color, the larger size makes it easy to capture your thoughts. Bright, full-size pictures keep the content fresh. I also think the topic is so important for many women to remember - to, no matter what the circumstances, remember to give yourself grace. It's a theme that's been cropping up in my life a lot lately, and I think many of us need this reminder. Some fun extras are included as well - I appreciated the three different colored ribbons for marking key pages and the presentation page in the front.